You're getting a 47-page guide on how to craft compelling emails that convert readers to buyers and action takers, and don't forget the bonus 300 power words & phrases, The 5 Minute Sales Copy Formula and Instant Winning Headlines special reports that's all included. "Finally! Copy My Exact Email Tactics That Will Get More Clicks & "Opens" From Every Single Email You Send Out To Your Subscribers..."
Not getting the response you want from your list? Not getting any clicks in your email newsletters? Not making any sales from your email promotions? I bet you wish there was an easier way. What if you had the power to control the actions of your subscribers? people going crazy over your offer or clicks ‘unsubscribe’. It's not about hypnotizing your readers, but more about motivating and inspiring your readers that gets them to take action. find out what works and what doesn’t. The great news is, you can copy my exact email tactics and have your very first high-converting email in just a few minutes from now! Brand New! Updated For 2015! When you download this course today, you won't find the typical "101 ways" type of eBook that's been rehashed and recycled. This is a course I put together based on many years (since 2006) of email marketing and copywriting experience. You'll be armed with the tactics and techniques to start crafting high-converting emails. 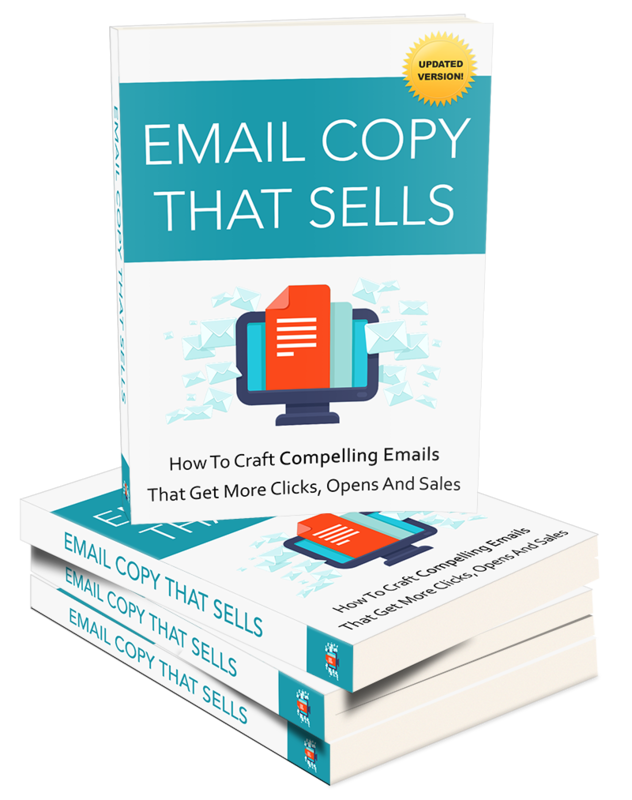 Within 10 minutes from now, you implement just a few of the tactics laid out in Email Copy That Sells, send out an email to your list and start getting more clicks, opens and sales! That's the power of being able to craft compelling email copy. You subscribers will hang on your every word. You subscribers will click on your links. An increase an conversions means that you'll make more sales. It's that simple. How much does it mean to you? When you consider everything you're getting in this package, it's really a no brainer to get access to it. Today, you can grab the entire package for a measly £39.99. For this special introductory offer and to celebrate the launch of this product, I'd like to offer it to you at a discounted investment of just £4.99 one-off! Regular Price: £39.99 - Now £4.99! You'll Get Instant Access To The Product No Matter What Time! P.S. 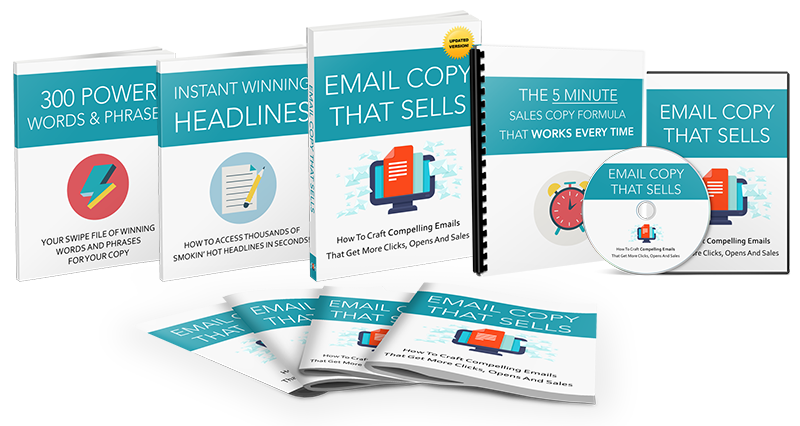 - You're getting a 47-page guide on how to craft compelling emails that convert readers to buyers and action takers, and don't forget the bonus 300 power words & phrases, The 5 Minute Sales Copy Formula and Instant Winning Headlines special reports that's all included. Get Instant Access Now By Clicking The Button Above!